Goblins vs Gnomes: Eject! Eject! 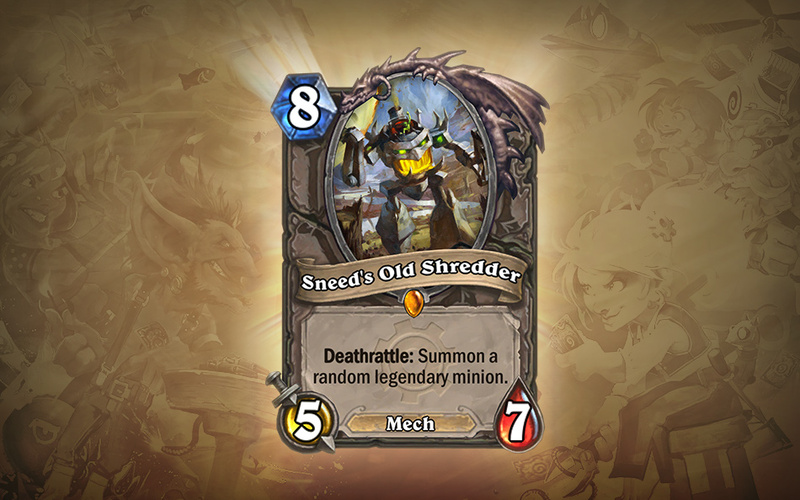 Today, we continue our dive into the new cards of Hearthstone’s first expansion, Goblins vs Gnomes, by exploring another fun card theme that’ll be exploding onto game boards this December. Goblins and gnomes love to build and tinker, but they have very different—though equally dangerous—ways to get results. A few of their soldered, hammered, and cobbled-together mechanical monstrosities make their debut in Goblins vs Gnomes—some even require a “skilled” hand to manage the myriad cranks, levers, and dials. 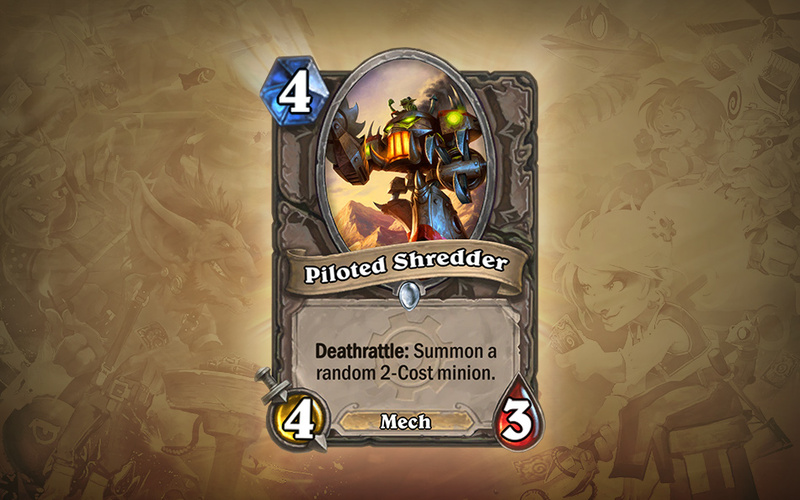 Today we present to you: piloted mechs! These giant fighting machines are just another way goblins and gnomes show off their inventive genius. 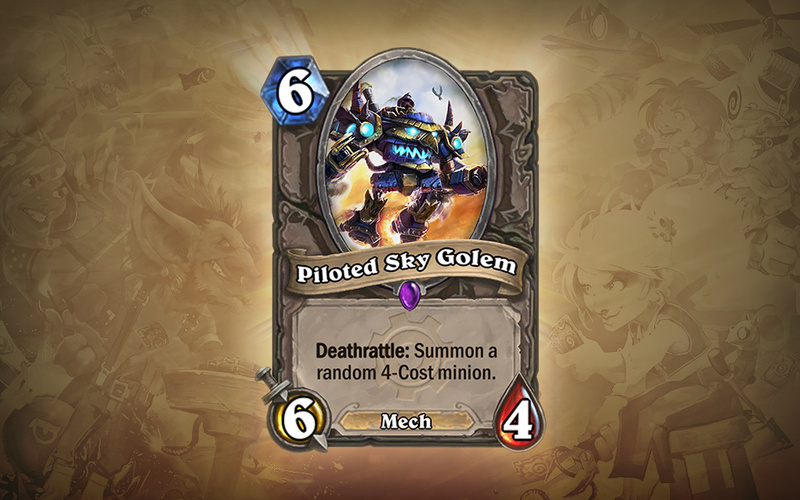 Regardless of who’s piloting a mech, you’ll often observe some . . . interesting results when these “carefully” constructed inventions begin to malfunction. And when the smoke clears, what rises from the debris may shock* you! 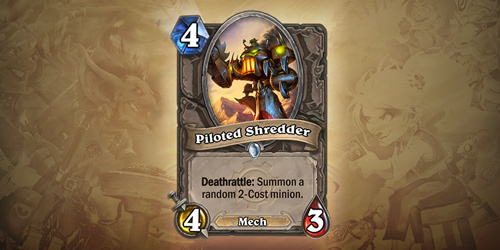 What do you think would be the best minion to emerge from the wreckage of the Piloted Shredder? 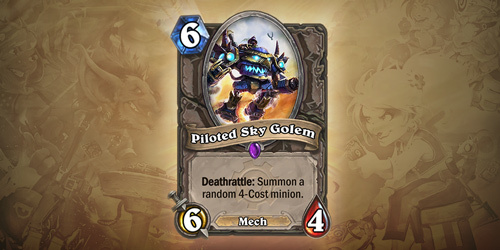 How about the Piloted Sky Golem? 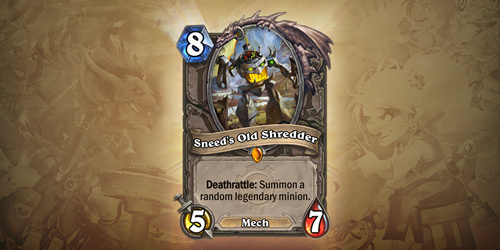 Sneed’s Old Shredder? Tell us in the comments below! Goblins! Gnomes! – Eject! Eject! *Or set you on fire. Or freeze the blood in your veins. You get the point.